With so many states having already completed their discussions about raising the minimum wage, it should come as no surprise that more are starting those talks as well. 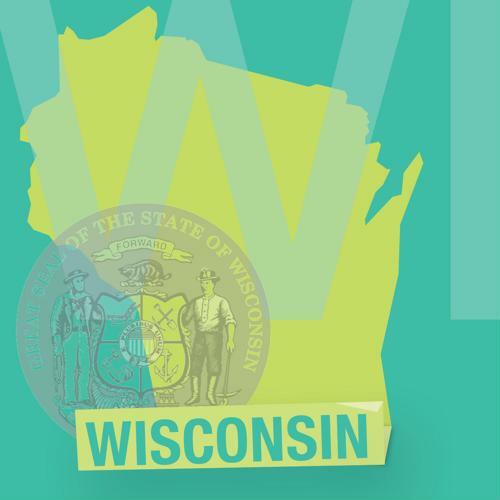 One such state is Wisconsin, where the governor and numerous lawmakers want to institute higher hourly salaries for their lowest-paid constituents. As part of ongoing hearings about the state's budget for 2019-2021, Gov. Tony Evers included plans to raise the minimum wage from the current $7.25 - in line with the low federal standard - to $8.25 starting in January, and then another 75 cents in each of the following three years, according to Wisconsin Public Radio. That would bring the state to $10.50 by 2023, and beginning the following year, the minimum would be tied to the cost of living, meaning it would be adjusted for inflation on an annual basis. While some lawmakers made the traditional anti-increase arguments about harming small businesses, Department of Workforce Development Secretary Caleb Frostman noted that these increases were both modest and incremental. Currently, the Badger State is tied with Iowa among all the states it borders for low wages, trailing Minnesota ($9.86), Michigan ($9.45) and Illinois ($8.25). Moreover, Illinois is on track to reach $15 by 2025. In addition to the budget creating a situation in which the minimum wage for Wisconsinites would rise somewhat slowly, it would also allow the state to convene a task force for the purpose of evaluating how feasible it would be to eventually raise the minimum to $15, like neighboring Illinois, according to the Wisconsin State Journal. Furthermore, the budget proposal would improve unemployment benefits for out-of-work residents and reduce the number of requirements those people need to qualify. Finally, the budget would require the state to start paying a "prevailing wage" to laborers for public works programs, which previously existed but had been done away with by the administration that preceded Evers, the report said. As with any debates surrounding a minimum wage hike, there is plenty to consider, according to the Badger Herald. Like many states, Wisconsin has a significant issue of income inequality, as recent data suggests that someone in the top 1 percent of statewide earners makes about 19 times more than an average person in the other 99 percent. However, those people also tend to pay less of their income in taxes by proportion (just 7.7 percent), versus the 9 percent paid by the bottom fifth, and 10.6 percent from the middle 20 percent of earners. To that end, Evers' budget proposal also seeks to alter the state's tax code so that roughly 1.9 million middle-class and lower-paid workers see an average of $217 in tax savings, the report said. When states as a whole are considering increasing their minimum wage requirements, it's often a good idea for businesses to get out in front of the trend. Higher hourly wages and better benefits are necessary when it comes to both attracting and retaining top talent in the first place, so moving to exceed requirements is often the best path forward for businesses of any size.